At Juniper Networks, we believe the network is the single greatest vehicle for knowledge, understanding, and human advancement that the world has ever known. Now more than ever, the world needs network innovation to connect ideas and unleash our full potential. Juniper is taking a new approach to the network — one that is intelligent, agile, secure and open to any vendor and any network environment. To learn more about Juniper, our products, and our vision for the decade ahead, visit our site at www.juniper.net. Organizations are in an arms race with cyber criminals, who constantly develop new exploits that evade detection and compromise defenses. These exploits are highly effective and have enabled a multi-billion-dollar industry in which criminals sell a company’s intellectual property to the highest bidder. Security solutions that stay ahead of this continual escalation are crucial to protecting your business’s people, data, and infrastructure. Juniper Next-Generation Firewall (NGFW) Services provide an array of cyber defenses to reduce your attack surface in this challenging environment. With the SRX Firewall at their foundation, NGFW Services safely allow the operation of critical applications and block advanced malware from entering your network. Available on all SRX platforms, our security services reduce the attack surface in real-time and stop cyber criminals before they can breach your organization’s. AppFormix is a new breed of optimization and management software platform for public, private and hybrid clouds. This intent-driven software manages automated operations, visibility, and reporting in cloud and Network Functions Virtualization (NFV) use cases for Kubernetes and OpenStack, as well as Amazon Web Services. It features machine learning-based policy and smart monitors, application and software-defined infrastructure analytics, alarms, and chargeback accounting. 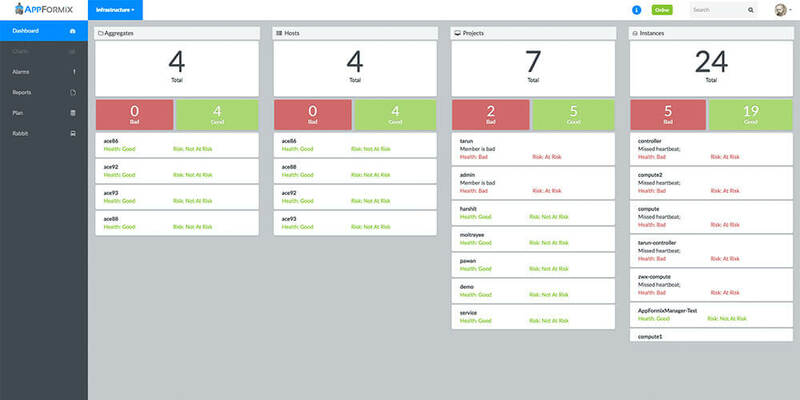 With AppFormix, you can track and automate the operations of your applications and software-defined infrastructure. Its smart-monitoring features detect issues and automatically manage remedial action based on predefined SLAs.